Curtiss-Wright’s Defense Solutions division has expanded its Rugged Video Gateway (RVG) family of video management solutions: The stackable RVG-SA1 analog video switch is a non-blocking cross-point switch. Traditional video switch products are often inflexible, bulky, and difficult to integrate. Flexibility can be achieved with a configurable cross-point switch. The RVG-SA1 is for example based on CAN. This enables system designers to route the platform's video sources. 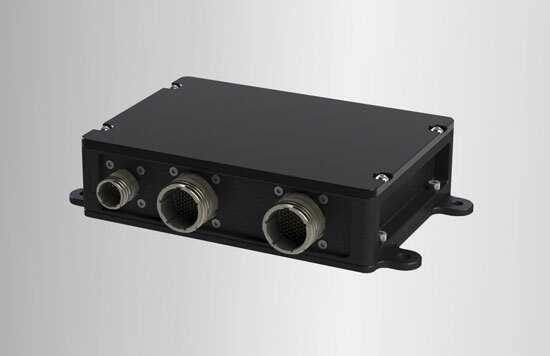 Designed to address increasing requirements for video switching requirements on smaller and more space-constrained air and ground vehicles, the size, weight, and power optimized product allows system integrators to make effective use of video data generated by on-platform cameras and displays without requiring additional space and weight. The analog video switch is designed for deploying video management and distribution for airborne and ground vehicle applications. The device’s analog crossbar functionality supports the routing of its 12 analog video inputs to any of its 12 outputs. It also implements a digital crossbar that enables any of its eight digital inputs to route to any of its eight digital outputs to support HSYNC and VSYNC connectivity for four PC-style analog video channels. In addition, the product provides four separate EDID interfaces and enables the emulation of a computer display. Curtiss-Wright’s rugged Video Management Systems (VMS) provide video conversion and distribution solutions to simplify the routing of multiple video signals on ground and airborne platforms. Typically, a video distribution system is used in applications, in which multiple video inputs (for example, from a multi-sensor gyro-stabilized camera system) and additional signals from moving maps, mission computers, video recorders and up/down links need to be routed to multiple displays in the aircraft. The RVG-SA1 can be combined with Curtiss-Wright’s AVDU family of rugged touchscreen LCD displays and the VRDV7000 digital HD video recorder to create a complete VMS solution. Curtiss-Wright has introduced the NRH27C rotary position sensor. It supports the J1939 protocols.